बंगाली केम्प, ग्राम पंचायत-भांसी, जिला-दंतेवाड़ा (छत्तीसगढ़) से रीना अधिकारी बता रही है कि उनके गांव में सोलर प्लेट लगा है लेकिन 3 की जगह 2 ही लगा है, जिससे बरसात के दिनों में वोल्टेज नही मिलने से बोरिंग का पानी नही निकल पाता है लोग नदी-नाले के पानी लाकर पीते हैं जिससे बीमार भी पड़ते हैं, उन्होंने कई बार आवेदन दिए हैं पर आज तक कोई सुनवाई नही रही है, तो साथी सीजीनेट के सुनने वाले साथियों से मदत की अपील कर रहे हैं कि दिए गये नम्बरों में अधिक बात कर मदद करें: सरपंच@7389350757, सचिव@9407701463, C.E.O. @7587139799. 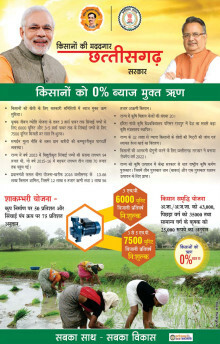 संपर्क नम्बर@9752205080. Today Reena Ramteke is helping us listen to songs and reports from Panna district in Madhya Pradesh in this latest edition of Bluetooth radio program in Hindi. Villagers use their mobile phones to record these songs and reports. They call 08050068000 to record. Now this program can be downloaded by people from their Gram Panchayat office if it has Broadband or from a download centre nearby. They can also get it from someone with smartphone and internet and then via bluetooth. Today Reena and Rajendra are helping us listen to songs and reports from North Chhattisgarh in this latest edition of Bluetooth radio program in Chhattisgarhi language spoken in many districts of the state. Villagers use their mobile phones to record these songs and reports. They call 08050068000 to record. Now this program can be downloaded by people from their Gram Panchayat office if it has Broadband or from a download centre nearby. They can also get it from someone with smartphone and internet and then via bluetooth.